WHA880.8	 GIT HEAT-‘A’ 88	 0.8	 5	 650 ±1.0@ 1550°C	 2750	 1820	 1750	 BOF and Steel Ladle Bottom. WHM 801.5	 GIT HEAT-‘M’ 80	 1.5	 5	 600	 ±0.8@ 1550°C	 2650	 1804	 1700	 Steel Ladle Spout. WHK 501.5	 GIT HEAT-‘C’ 50	 1.5	 5	 350	 ±1.0@ 1550°C	 2100	 1665	 1550	 Steel Ladle Back up, Sponge Iron Rotary Kiln, Ladle lip etc. Furnace walls, pre-heater of Rotary Kiln etc. High Alumina Castables also known as Non-Ferrous Refractories have extremely High Strengths and Volume Stability at all Temperatures. 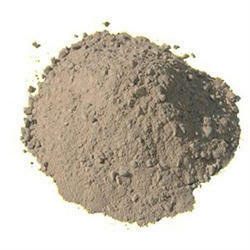 Designed with high proportions of alumina, high-alumina castables contain between 60 to 90 percent alumina. They are much more robust at high temperatures and in basic environments; they can be easily applied in critical area where conventional bricks cannot be laid. If you are looking to buy refractories for your Industry Check what our Experts says about this 6 Proven Methods to select the Right Refractory for your Requirement. Please check at our Blog – Selecting Right Refractory.